This is a powerful verse for me in my life as Paul talks about the peace we have with God through Jesus. I knew for me this is what I was seeking in my life! As a sophomore in college, it became clear to me that there was a peace that surpasses all understanding. Peace that I didn’t have until trusting and believing in Jesus as my Savior. The teenagers who we see each and every day are seeking that same peace. I have been mentoring Domonic for over a year now. His life has been infected with turmoil personally as well as within his family so seeking that peace is desperately needed. He has been in the juvenile system since he was 14. I have had the privilege of being the most consistent relationship in his life for many years. 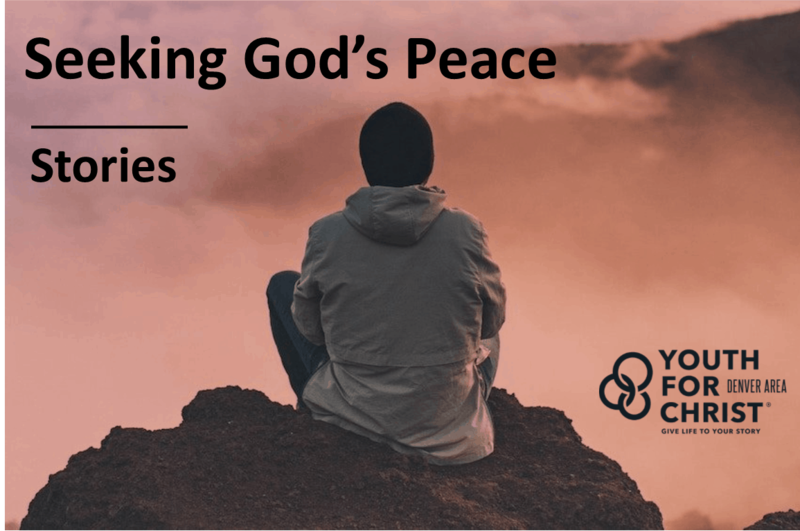 Through our conversations and times together it is clear that he is seeking God’s peace. He is a young man who continues to ask good questions and is on a faith journey. Please pray for our weekly times together, especially now that he is in the community! Thank you for your faithful partnership in allowing us to minister to young men like Domonic! Mentoring has had a significant impact in his life. He recently shared with me that he views me as a father figure. He went on to say that he has really never had a father in his life and that I was one of the few people who he could really talk to. Through your support and prayers these ongoing conversations can take place every day with teenagers. Thank you for being a part of the ongoing conversation with youth in our city and helping us share God’s story. It's our honor to be the storytellers on your behalf who meet kids right where they are and give life to their story.